For almost 50 years, Ocean View’s brand has been synonymous with providing comfort, care and compassion for those they serve. Ocean View services are not limited to nursing home care. With a new strategic plan dubbed “Vision 20/20”, Ocean View has a vision to be the ‘Community of Choice for Nova Scotians Needing Support in the Place they call Home’. One service provided by Ocean View that enables the organization to provide this kind of support is the Adult Day Program. This program provides a safe and comforting environment for it’s participants and gives caregivers much needed respite. Meet Jack and Janet Rowe. They have been married for 55 years, raised three wonderful children and have two very special grand children who they cherish. They have lived a very wonderful and fulfilling life, with their career paths have bringing them as far away as the Bahamas and Hong Kong. Eventually settling in Dartmouth, Jack’s career led him to become an Executive Director for a local non-profit organization and Janet was the Director of Recreation at Oakwood Terrace. With full-time careers and raising three children Jack and Janet led very busy lives! As their life journey brought them both to retirement, Jack settled into retirement life, looking after their home and property. His interest in cooking increased, spending more time in the kitchen. Janet retired shortly after, so they could spend more time together. They decided to travel more, embrace their freedom! As time went on Janet started noticing subtle changes in Jack’s behavior. Travel was less frequent, and simple outings became more challenging and limited. Reliance on Janet’s driving was inevitable,with even more limitations with night driving. After a visit with their family doctor, Jack was officially diagnosed with Alzheimer’s. Janet was not shocked by the diagnosis as she had watched her vibrant and capable husband’s abilities slowly decline in the past number of years. Retirement became different for Jack and Janet. Janet’s role as wife remained, however she now took on a new role, the role of caregiver. Jack is still able to do some simple things but most daily activities need to be prompted or guided by Janet. Dressing, doing dishes, making phone calls, are much more limiting. Reminding Jack of the days activities or where to find things are now a regular part of Janet’s routine. Janet takes these challenges in stride and, out of love for her husband of 55 years, adapts her routine accordingly. She does, however, miss conversations they once had, and although repetition can be frustrating, she accepts it as part of their life now. As the disease progresses, so do the challenges of care. Caregivers tend to put their needs on the backburner when a loved one is in need. This is not different in Janet’s case. As Jack’s life changed so did hers. Ordinary occurrences like shopping and lunch dates with girlfriends became less frequent for Janet. Being a caregiver is taxing and respite is key. Stimulation and activity for the loved one being cared for is also important. Because of Janet’s former career and her education, she knows how vital daily activity is for Jack’s well-being. She looks for programs and supports to provide this for him. Through the Nova Scotia Chapter of the Alzheimer’s Society, Janet and Jack found Ocean View and it’s Adult Day Program. With the program’s organized routine, Jack easily settles in at Ocean View, two days a week. He and his new friends take part in a variety of meaningful, stimulating and purposeful activities, programmed according to their needs, abilities and preferences. Ocean View’s Adult Day program provides dependent, senior adults an opportunity to engage in activities that ultimately support their ability to remain at home as long as possible. 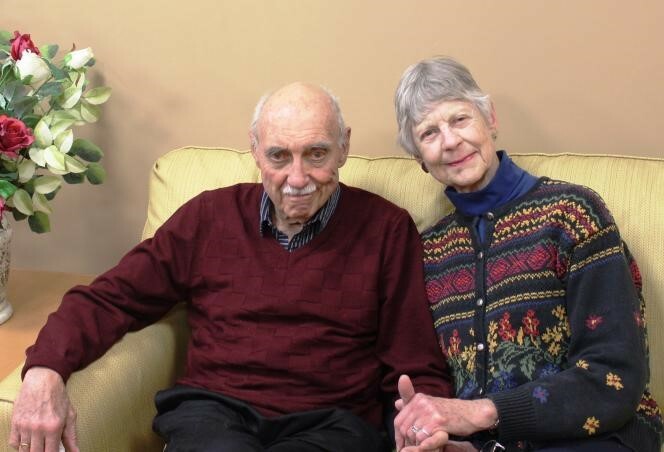 This not only provides Jack with the support he needs but it gives Janet a break as caregiver. She is able to enjoy this time off in comfort, knowing that Jack is in a safe place where he is cared for, valued, respected and protected. While Jack attends the Adult Day Program, Janet has used some of her free time to ‘pay it forward’. She leads a ‘Caregivers Support Group’ for those caring for loved ones with Dementia and Alzheimer’s. She shares the benefits of the Adult Day program at Ocean View, as well as other supports that many families in the community need. Jack’s time spent at the Ocean View Adult Day program, as she puts it, gives her a time to “regroup”, to take care of herself, and recharge her batteries as a caregiver, avoiding the emotional and physical burnout that often threatens her wellbeing. Jack’s charming and charismatic personality often brightens the day of Adult Day staff and his fellow participants! If you, or someone you know could benefit from the Ocean View Adult Day Program, please contact Petrea Leslie at 902-465-6020, Ext 2175 or email pleslie@oceanv.ca.